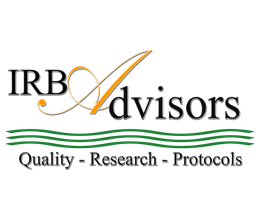 Human Research Protection Education - IRB Advisors, Inc.
We are dedicated to ensuring that IRB members, HRPP executives, administrators and others who are responsible for overseeing human research protection programs are proficient in the Code of Federal Regulations, guidelines and principles. Through our personalized process, we develop specialized training with the express purpose of developing their expertise and knowledge to meet or exceed the standards for the protection of human research participants. According to 45 CFR 46.113, the IRB has the authority to approve, to require modification of, and to disapprove proposed human subjects research. The IRB also has the authority to require progress reports from investigators, to oversee the conduct of a study, and to suspend or revoke its approval of ongoing research. Failure to comply with IRB requirements is considered serious misconduct and may be subject to sanctions including possible termination of approved research. Among other topics, our IRB member training covers Membership and Responsibilities of the IRB, Attendance Expectations, Conflicts of Interest, Policies and Procedures, Participation in the Expedited Review Process, IRB Chairperson, etc. All programs are customized to the needs of the institution. While it may take many years of education and work experience to achieve the distinction of an expert in human research protections, it should be acknowledged that it helps to be able to prove it. Each applicant will have the opportunity to prove their skill level with one exam. Based on the exam results, degrees and years of service, the Human Research Regulations Certification Council (HRCC) will assess whether each executive has the expertise, knowledge and education to meet the general standard to assess, approve and have a good understanding of human subjects research protections and relevant regulations. IRB Boot Camp is a training program developed to assist IRB members, senior level IRB and human research protection executive to become proficient in the federal regulatory requirements for the protection of human subjects. Topics include policy development, HRPP program management and development, IRB processes and procedures etc. 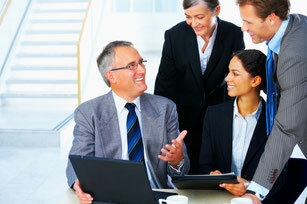 Programs may also be tailored to the specific needs of the individual. Certification will be issued upon completion of the program. Each applicant must take and pass an online examination administered by the Human Research Regulations Certification Council (HRCC). This exam tests their knowledge of the Code of Federal Regulations that govern human subjects research. Applicants may become certified at the expert and professional level. In an effort to help overcome challenges, HRCC certifications aim to ensures that HRP professionals have the highest level of knowledge of the federal regulations. We offer one certification for human research protections executives and another for professionals. The exam which is scheduled for release in the fall of 2015 will be offered quarterly and allows each person to simply pay the exam fee, log into the exam site after completing a validation process then proceed to the exam. Certificates are mailed to participants after successfully completing the exam.